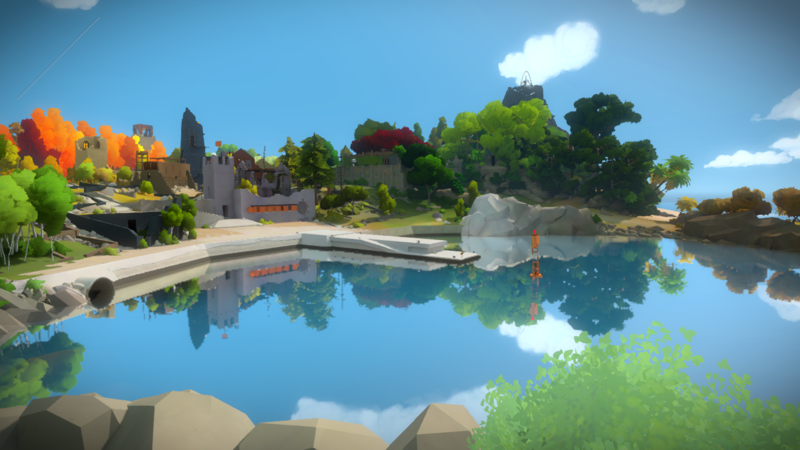 From the outset, The Witness ($9.99) is a video game that defies convention. After a loading screen that suggests ‘for the best experience, use headphones’, you immediately awaken in a dimly lit underground tunnel, amidst deafening silence. 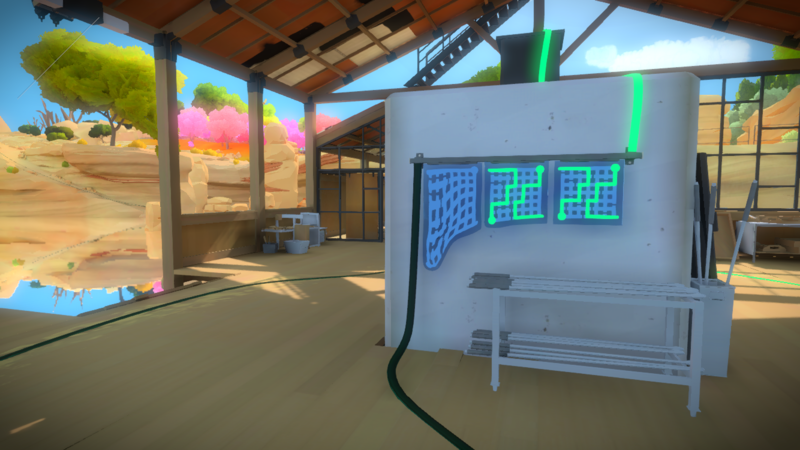 No title screen, no contextual introduction, no long-winded tutorial – in The Witness, you’re simply left to your own devices, and the curiosity that such a brazen start instills in the player serves as the primary catalyst to explore its luscious, vibrant and expansive environments. This core ethos permeates into every inch of The Witness, whether it’s solving puzzles, navigating complex terrain or attempting to work out how to access a seemingly out of bounds point of interest, and its respect for the user is one reason why the game received such universal critical acclaim upon its console release in 2016. However, the hands-off approach that is fundamental to The Witness’s identity is also its biggest source of frustration and, because of Thekla, Inc.’s impressive efforts in emulating the experience on mobile devices, a flaw that is as prominent as ever in the iOS iteration of the game. In an era where procedural generation and sweeping sandbox worlds are the norm, The Witness excels through amalgamating experimental puzzle elements with a stunning, nonlinear environment that must be interacted with in numerous creative ways. 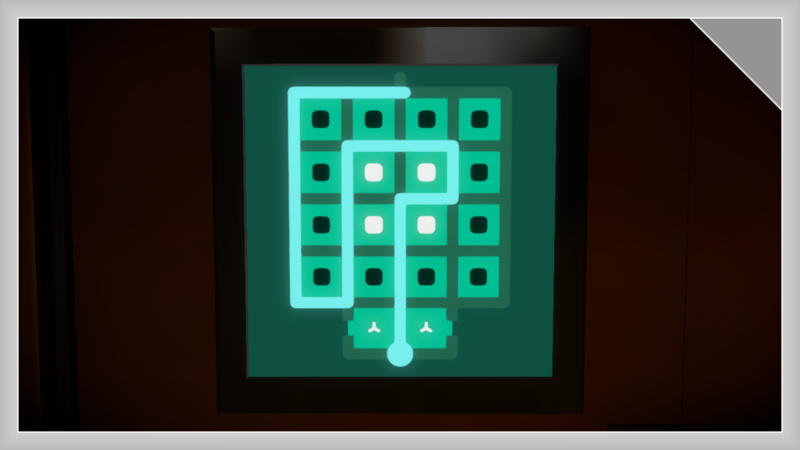 The actual gameplay in The Witness revolves around the concept of a ‘maze puzzle’ – using the touch screen, you must draw a line on a panel that connects specified origin and ending points together. As would be expected of any decent puzzle title on iOS, new mechanics are quickly introduced, from self-explanatory symmetrical challenges to more cryptic symbols that have multiple requirements before any such maze can be cleared. This may sound initially confusing, though The Witness ensures all new concepts are introduced gently amidst its ‘show, don’t tell’ philosophy, with forgiving trial and error prioritized over immersion-breaking explanations. However, these ‘new’ mechanics can be found throughout the world from the beginning, and that light-bulb moment when a previously inaccessible panel suddenly makes sense upon a later discovery is one of the most satisfying moments in The Witness. The other area The Witness quite literally shines is in its incredible aesthetic design. If there ever was a game to show off the Super OLED display of the upcoming iPhone X, The Witness is surely it. The approximately sixteen different locations in the overworld, despite being entirely devoid of activity, are brought to life through incredibly vivid and distinct cel-shaded graphics. With an impressive realistic lighting system that is as spectacular on the smaller screen of the iPhone as it was on consoles, the pink sparkle of the orchard or the mysterious gloom of the desert ruins looks stunning, despite its inherent simplicity. As with the puzzles within the game, the fluorescent and minimalistic design isn’t cluttered with details, but leaves it to the player’s imagination to make the most of the mysterious settings. After all, views that feature shimmering, reflective lakes and sprawling, accessible locations that are just longing to be investigated are worth taking in. However, the breathtaking settings aren’t just there for eye candy. The most groundbreaking aspect of The Witness is how it incorporates its open world into the puzzles, in ways that will repeatedly surprise you as you dive deeper into the game. For starters, many challenges require light and color to bypass seemingly impossible puzzles. Certain areas require water and light reflections to reveal secrets, while others use colored filters to make you approach certain conundrums literally from a different angle – these clever twists expand the core maze gameplay far beyond what its genre contemporaries would ever have been able to without The Witness’s gorgeous settings. But then, at some variable point when you’re just about sick of the seemingly infinite puzzles, you start to look at the in-game world differently. Suddenly, that strangely arranged collection of rocks shows itself to be more than just for show, and the island becomes more than a mere path to your next objective. Being able to drop into The Witness, leisurely stroll around the realm and stumble upon another hidden environmental challenge is a joy, and something that is perfectly suited to the portability of the iOS iteration of the game. These qualities all embody the unique experience that The Witness refines so well, and the opening few hours are a delight. But The Witness is over 40 hours long, and quickly the repetitiveness and pacing issues begin to weather away at the patience of even the most committed puzzle game connoisseur. The absence of traditional tutorials results in hundreds of generic puzzles, which are normally just slightly harder variations of the previous panels. This is an inherent issue with both the nature of the game’s maze mechanics and its silent design philosophy, but it means it’s easy to spend hours with a particularly difficult challenge with little reward beyond more of the same. The Witness is also a very difficult game, and one that is suited to a specific type of player – those who struggle with abstract riddles or have a tough time with spacial awareness puzzles may want to look elsewhere. This challenge does result in immense satisfaction when a tricky teaser has been beaten, but also means it’s very easy to search online for solutions when you’re desperate to find out what’s behind a specific door and can’t even pass the first of five opaque panels ahead of you. Playing in short bursts, especially on a portable device, can prevent these pacing issues from being too distracting, but it’s a testament to the world design that the game’s difficulty and sheer number of puzzles preventing your passage can be its biggest curse. Ultimately, the biggest source of disappointment while progressing through The Witness is the fact that, beyond the aforementioned multiple mysterious doors, there isn’t really anything to discover. The island is so surreal in its abandoned architecture and ominously lifelike statues, so creepy with only ambient sounds creating an uncomfortable state of isolation, and so mysterious with random clues and maps hidden by cryptic challenging doors. The last time I experienced such a feeling on intrigue was when I first trawled through the forsaken vaults in the Fallout series, and the incredible cult fanbase surrounding The Witness underlines the atmosphere that Jonathan Blow and his team were able to conjure up within the game. All this remains unexplained, replaced instead with bizarrely indulgent audio logs from philosophers and scientists, as well as strange video footage that just feels out of place. 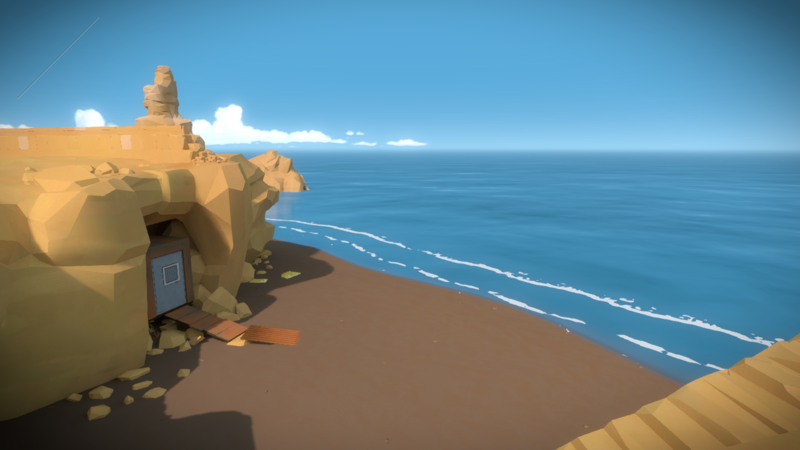 The Witness occasionally begins to stray into parody territory, which feels at odds with the sensibility and complexity of its island location. You can say this is yet another intentional product of the game’s design philosophy, and you can argue that it’s all about the journey and not the destination, and you’re certainly not wrong. However, the multiple hours that The Witness so persuasively demands simply do not result in a satisfying conclusion. The big selling point of The Witness’s iPhone release is undoubtedly its portability, and it is truly a technological marvel to see one of the PS4’s most graphically remarkable titles look so good on the mobile device. Admittedly, a lot of this is down to the simple aesthetic style of The Witness, but credit is most certainly due to Thekla, Inc. for what is an impressive mobile port. 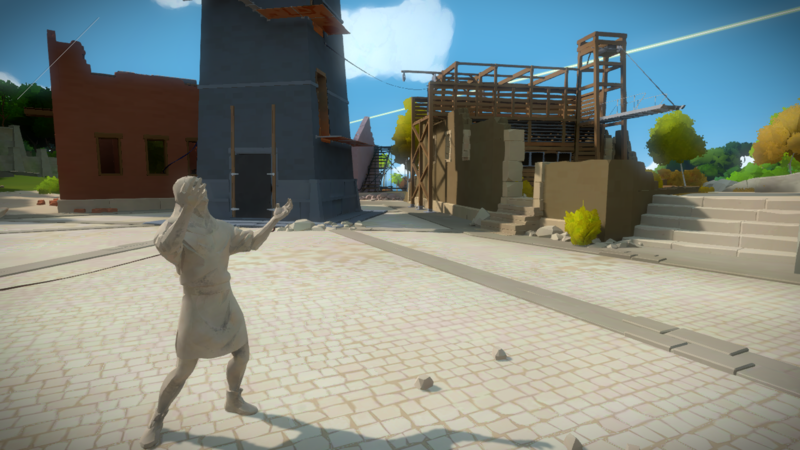 Firstly, let me get it out the way – The Witness on iOS is not 60fps. If you have a problem with that, I’d recommend reassessing your priorities as it has no impact on the experience, or getting the console version instead. For the rest of us, The Witness runs extremely well on mobile, and features all of the content from the original release. 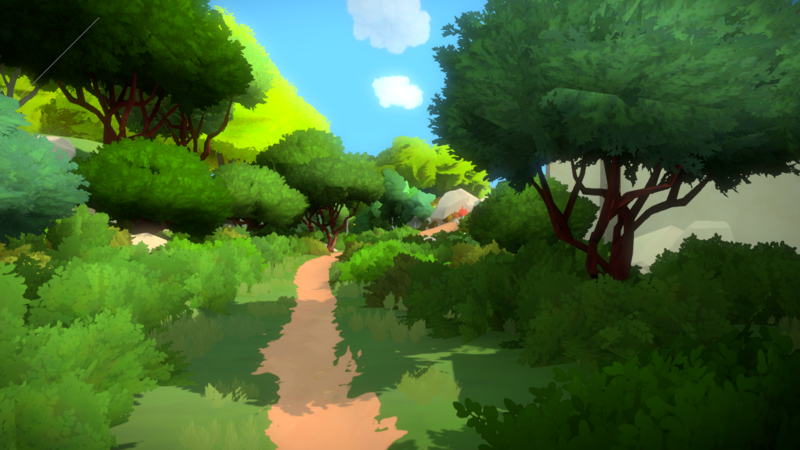 That being said, there are some compromises, and while the mobile version of The Witness is in many ways the best version of the game, it is by no means a perfect experience. The actual maze puzzles are infinitely more intuitive on the touch screen, and while the smaller screen of the iPhone may make more sprawling challenges a bit unwieldy, they are perfectly suited to the screen real estate of the iPad and plus-sized phone devices. It’s in navigating the open-world environment that the iOS version stumbles somewhat. The tap to move control scheme never makes you feel as in control as with analog sticks, and makes solving certain puzzles like the desert ruin’s light challenges infuriatingly tedious. MFi support is an extremely welcome solution that ameliorates a lot of my issues with the mobile version of the game, and the addition of virtual sticks would also be a relief, but as it is The Witness is held back by its clunky controls, even if these are a necessary compromise. The fact that The Witness can bring out such extreme emotions of both exasperation and astonishment is undoubtedly an achievement in itself. So many modern puzzle games strive to be as inoffensive and straightforward as possible, in an attempt to be accessible to a large and increasingly impatient audience of potential buyers – The Witness boldly shuns such expectations to simply do its own thing. As a result, The Witness can be relentlessly unwelcoming, but also invites and rewards intrigue, as paradoxical as that may seem. Similarly, The Witness is an essential experience for any enthusiastic gamer (especially at a bargain price of $9.99), although can occasionally feel like an ostentatious chore that is more hopelessly unaware than socially insightful. However, amidst its many annoyances lies a technologically impressive milestone of the modern gaming industry, arguably in its best form yet. In an App Store that seems to be perpetually afraid of failure, The Witness serves as a refreshing example of how scope, ambition and imperfection can shake up a genre.